Sitting just a bit off Hidalgo street in Quiapo is Bahay Nakpil (or Bahay Nakpil-Bautista officially), a former residence of key Katipuneros and now, a surprisingly well-preserved museum. 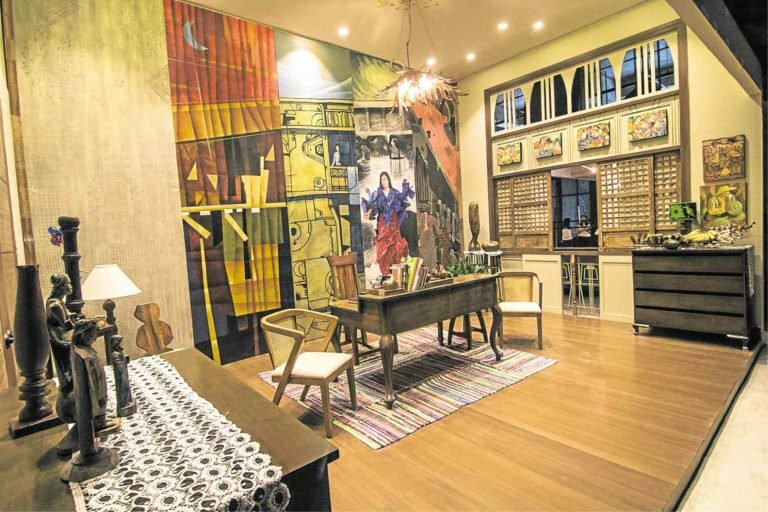 Inside the house is a five-paneled mural entitled “Limang Tanawin ng Bahay Nakpil” painted by five contemporary artists that manifests the history and heritage of Bahay Nakpil. But the painting will soon move to a new home as it will be auctioned off online by Leon Gallery on Jan. 18 and 19 to raise funds for repairs of the heritage house. The starting price for the mural is P200,000. Here’s a bit of a history lesson: The two-storey house was built by Arcadio Arellano in 1914 for Dr. Ariston Bautista and his wife Petrona Nakpil right along Calle Barbosa (now renamed A. Bautista street). Petrona’s brother Julio (yes, the Lupang Hinirang composer) and his wife Gregoria de Jesus also lived in the house. We all know Gregoria is an important figure in the Philippine revolution. Gregoria was the custodian of important Katipunan documents, some of which are displayed in the museum today. The historical infrastructure is a bahay na bato; its design inspired from the 1900s Vienna Secession art movement. On an interesting note, secession means to “withdraw formally from membership of a political state,” a description very fitting of the house’s former inhabitants. She was previously married to Andres Bonifacio until his death and later spent the rest of her life with Julio Nakpil, Bonifacio’s right hand and a general of the Philippine revolution likewise. They had several children including Juan Nakpil, who also lived in the same house. 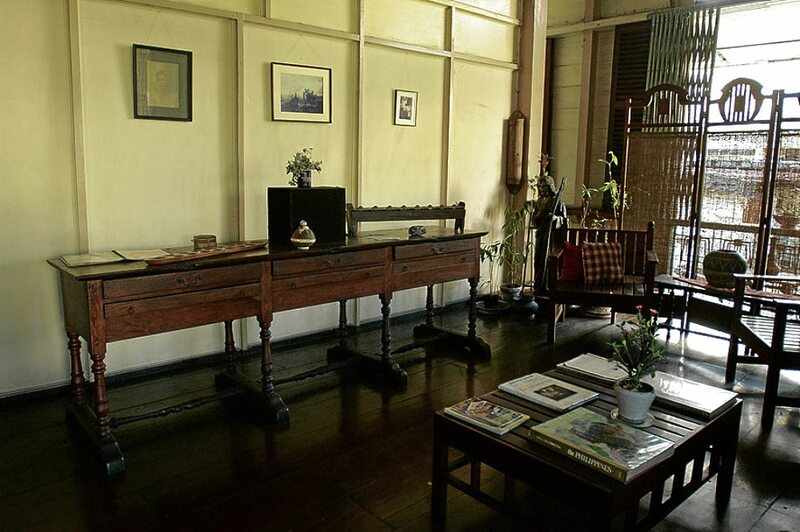 Currently, the museum houses different artifacts and memorabilia from the Bautista-Nakpil’s; some of which include Gregoria’s hand-cranked coffee grinder, three chairs where Bonifacio, Mabini, and Rizal sat when the La Liga Filipina was founded in 1892, and a replica of Juan Luna’s “Parisian Life” painting placed on top of where the original painting once hung (it was actually a gift to Dr. Ariston from Luna). Other artworks also included in the auction lineup are a signed Joan Miro original entitled “Picasso y el Reventos”, Federico Aguilar Alcuaz’s Manila Bay Series, and an untitled Jigger Cruz oil painting. Bonifacio’s flag was auctioned off for P9.3 million—should we have allowed it?